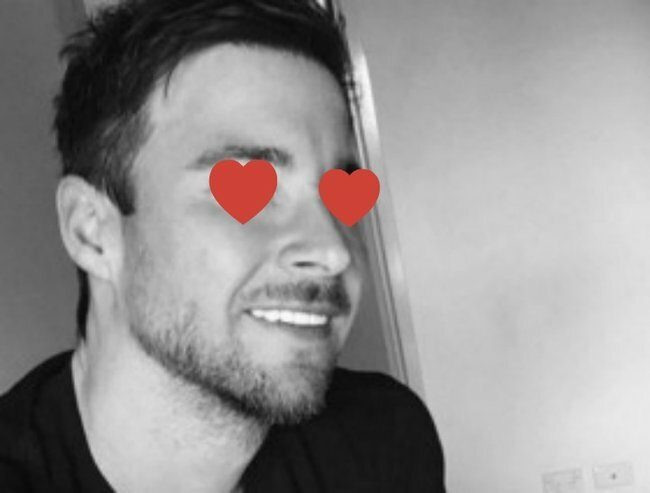 The Bachelorette's Michael Turnbull is in LOVE. Michael Turnbull has been dating someone for a matter of weeks but they’re already deeply in love. The Bachelorette‘s Turnbull was Sam Frost’s runner-up in name only. She revealed that actually he was her third choice but she didn’t want to put Richie Strahan through the pain of rejecting him at the last second. All’s well that ends well, because our erstwhile professional soccer player is now dating Brisbane single mum Katrina Vincent, 30. Vincent is prone to posting bikini selfies on Instagram and professes to have known that Turnbull was the one for her after watching him on The Bachelorette. Turnbull saw this picture and thought, “She looks like a really good person”. “I’m blown away by the fact I am with him,” she told Woman’s Day. For his part, Turnbull was taken in by the aforementioned selfies, and asked Vincent out after seeing her Instagram pictures. Remember when Sam Frost told Michael Turnbull that he was not the one? Watch him valiantly holding in his emotions before the episode aired. The pair went on a date to a cafe, along with Vincent’s two-year-old daughter Ava, who made her feelings known by having a big tantie and then throwing up everywhere. Where are the Instagram pictures of that? Turnbull is also partial to headless selfies. Image via Instagram. Turnbull told Woman’s Day that despite the vomit and the brevity of their relationship, he already feels more for Vincent than he ever did for Frosty. He even reckons the couple will marry. “You inspire me every day and you have such an amazing heart. I am so blessed to have fallen in love with you @katrinavincent. I am so lucky to have you in my life,” he wrote next to a Woman’s Day shot he posted to Instagram. Katrina Vincent: woman in love. Image via Instagram. Vincent also announced her new-found love for Turnbull via a Woman’s Day picture. “I’ve fallen in love with the most amazing man!” she wrote. She doesn’t even seem concerned that he’s more real estate agent than professional sportsman. It must be the real deal.